Moving into a new home is a lot of work, and a lot of fun. 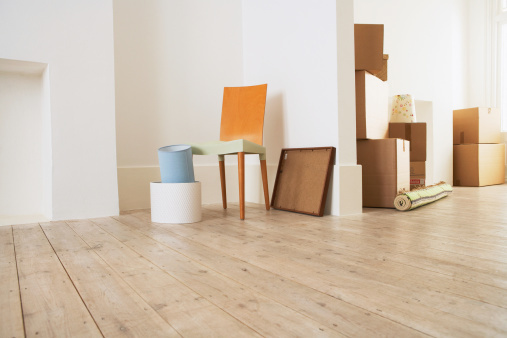 If you’ve ever moved before, then you know that sometimes it’s a challenge, but with this list of tips from Howard Hanna, we’ll help to make the process worry-free. Make a list, and start it early. Long before you even get started packing, make a list and check it twice. You can use this plan of action to stay on track, and develop a timeline that works for your move. Don’t spend money on moving boxes. Ask your friends and family, and check around your workplace for boxes. You may know someone who’s just moved and looking to get rid of theirs, or you may get shipments at work and be able to wrangle boxes that way. Check around first before investing in boxes. Keep clothing on hangers. Doing this will simplify both packing and unpacking. You can use moving boxes with closet rods, or even plastic lawn or trash bags, keeping the clothing on hangers. When you arrive at your new home, you can then transfer the clothes directly to the closets. Use what you already have to pack breakable items. This is your chance to get creative: use a down comforter for a picture frame or a sweater for your favorite vase. There may not even be a need to purchase bubble wrap at all! Color code boxes or use sticky notes. Everyone has a different organizing system, but two of the most popular are either to color code boxes based on a room or to use sticky notes. Do this on the sides of the boxes to make the labels easier to read when stacked. Create an unpacking master plan. Just like you made a list for packing, you’ll want to have a plan for unpacking as well. This will help you save time when you get to your new place, making the process more streamlined. Keep cool by using a timer. Both packing and unpacking can be daunting. Get a little bit done each day by setting a timer, and working until it goes off. It may make sense to go room by room, especially if you’ve been organized in your packing. Remember, there’s more to life than those boxes, so don’t drive yourself batty trying to take care of it all at once! Lastly, don’t be afraid to ask family and friends for help in the packing process. You can make it a fun event with food and packing games. You can even send personalized thank-yous to everyone who’s helped you throughout the process. Your Howard Hanna real estate agent is also a wealth of knowledge and information on moving. He or she may know a great moving company or someone who can help you organize your new space. You’ll never know until you ask!